When absolute performance is a must, the best riders in the world choose the S-Works Tarmac. With its Rider-First Engineered™ design, every frame is engineered to provide the same complete performance across the entire frame size run. This means instantaneous accelerations when climbing and the legendary descent-shredding prowess that you'd expect from a Tarmac. 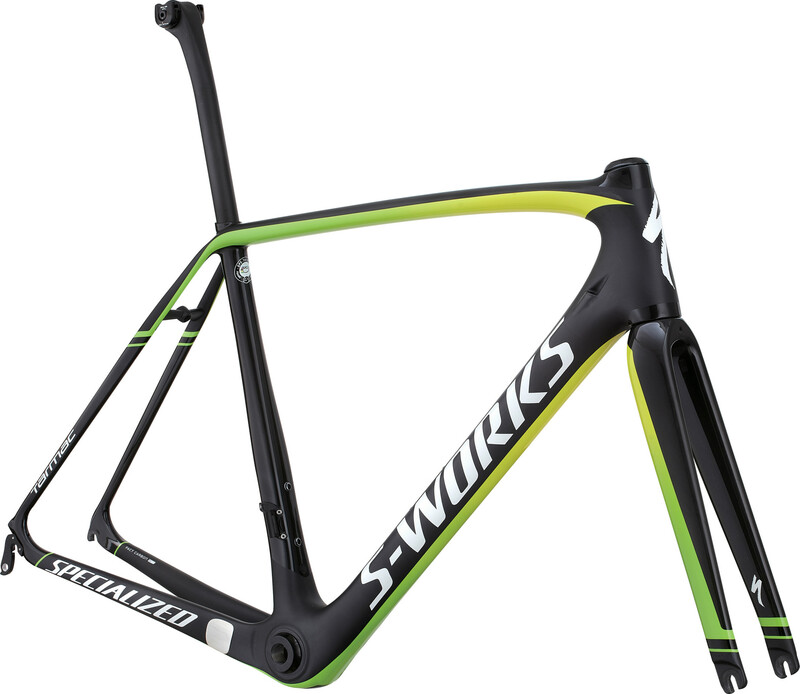 With the S-Works Tarmac Frameset, you can start building up your dreambike exactly how you've always wanted it. Featuring Rider-First Engineered™ design that ensures the same hill-destroying, descent-shredding complete performance across every frame size. The S-Works Frameset is composed of our highest quality FACT 11r carbon, and it's the go-to choice for riders like Alberto Contador, Vincenzo Nibali, and Michał Kwiatkowski. S-Works-specific FACT full carbon fork with tapered construction provides incredible front end stiffness and steering response for instantaneous accelerations and high-speed descents.